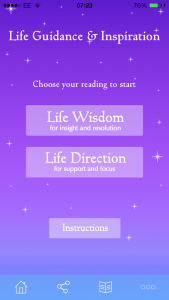 The Life Wisdom Reading – this gives a more comprehensive reading, identifying the core issue or current challenge you are facing and then suggest best strategy to overcome it. 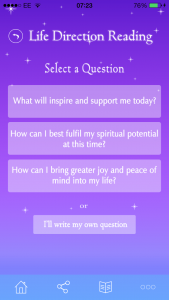 For quickness and ease you can choose from one of the pre-selected questions; these questions are often ideal for daily guidance readings and to gain general insight into everyday life challenges. 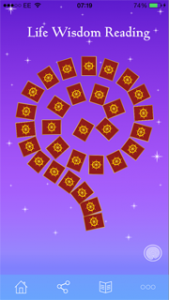 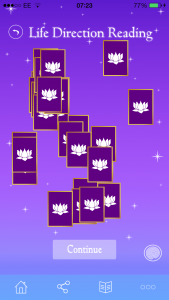 There are two types of card layout spreads [the ‘spiral’ and the ‘star’] and you have a completely free choice when picking the cards – the cards are not chosen for you. 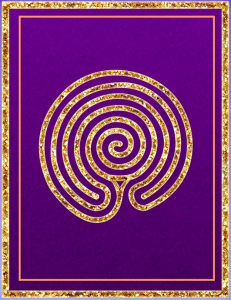 This means the readings are governed by your intuition and will be far more personal and directly applicable to you – you are the one in control of your reading. 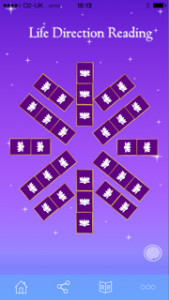 Each screen has access to the ‘more section’ with which has detailed instructions to help you get the most from your app – reminders and help boxes appear on the relevant screens to further guide you. 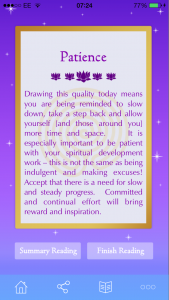 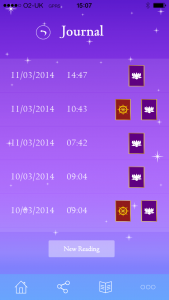 Please note: there is just a single one-off payment for the premium version, there are no further charges and no annual renewal fees – the app is yours to give you unlimited Life Guidance and Inspiration readings for life!